The Albuquerque Journal reports that the King Brothers’ Alamo Ranch was acquired by the Santa Ana Pueblo in June. “We’re glad that they purchased the ranch,” said Bill King, a son of former New Mexico Governor Bruce King who bought the ranch in 1961 with two brothers. “They’ve been our neighbors for a long time,” King added. The Santa Ana have ancestral ties to the land and plan to preserve it in its natural state as well as use it for hunting. Santa Ana Gov. Myron Armijo could not be reached for comment. Hall and Hall listed the 100-square-mile ranch in February for $33 million. No financial information pertaining to the sale was disclosed. 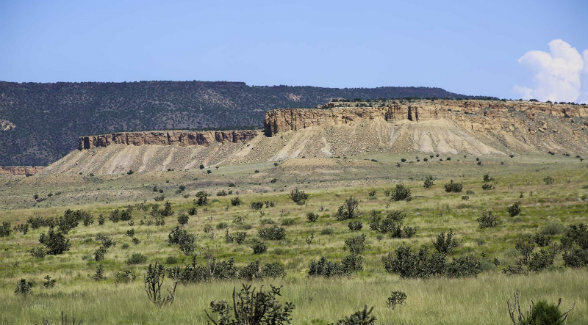 The ranch encompasses 60,000 deeded acres and 14,000 leased acres, and consists of rolling grassy hills, sandstone bluffs, canyons, and mesas. Hall and Hall’s Jeff Buerger represented the Kings.